Suited up and sword ready! This cute soldier is ready for battle. 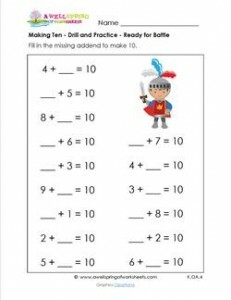 Make sure your kids are ready to practice their addition facts to make ten.